Caroli.org is an initiative of Paulo Caroli, consultant and expert on agile and lean practices, with the mission of sharing knowledge about new working relationships and, thus, contributing to the transformation of a better world. Caroli.org/Blog shares content on Agile Teams, Methodologies, Innovation, Product Management, Lean Strategy, and more. Caroli.org/Training provides exclusive, successful trainings (NPS average> 9) that shares the upcoming practices. Caroli.org/Books offers books and e-books from great classics to new free e-books, all with the participation of Paulo Caroli (whether as author, co-author, mentor or editor). Paulo Caroli is the author of the best-seller Lean Inception: How to Align People and Build the Right Product, which shares the secret behind the success of the Silicon Valley Lean Startup movement. His most recent contribution, the MVP Canvas, is a visual tool that helps entrepreneurs align and define the MVP-Minimum Viable Product strategy. 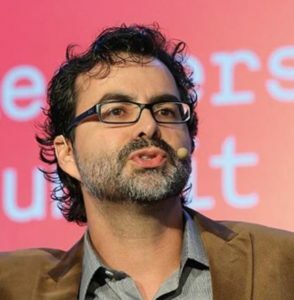 Principal consultant at Thoughtworks Brasil and co-founder of AgileBrazil, Paulo Caroli has more than twenty years of digital products creation experience working in several corporations in Brazil, India, USA and Latin America. In 2000, he discovered Extreme Programming and has since focused his experience on Agile & Lean processes and practices. He joined ThoughtWorks in 2006 and held the positions of Agile Coach, Trainer, Project and Delivery Manager. He has a Bachelor’s Degree in Computer Science and MS in Software Engineering, both from PUC-Rio. Paulo Caroli is passionate about innovation, entrepreneurship and digital products. He is a software engineer, author, speaker, and an excellent facilitator.